The AUS-ION steel crepe pan combines the best of cast iron and French steel pans—and is built to last a lifetime. The material cooks similarly to cast iron, but handles more like French steel. Its seamless design is pre-seasoned and cooks evenly, and the longer handle is easy to maneuver and vented to stay cooler. 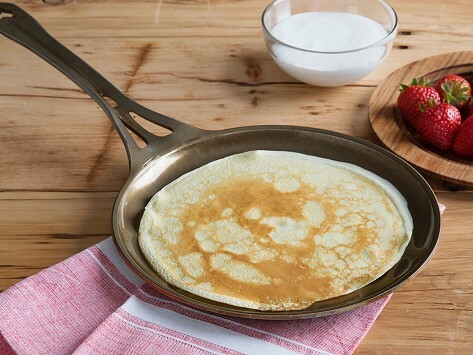 Backed by a multi-century guarantee, this could be the last crepe pan you ever buy. 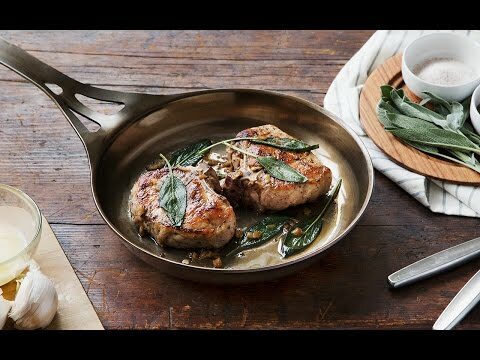 Dimensions: 18.3" x 11.8" x 2"
A great cast iron pan that falls just short of perfection.